This Sunday's CULTIVATE is a Grindhouse special, which will act as a precursor to the TRANSUBSTANTIATE season of films running through out March, which will be looking at representations of gender and sexuality on film and how artist use film to explore the the nature of gender and sexuality. 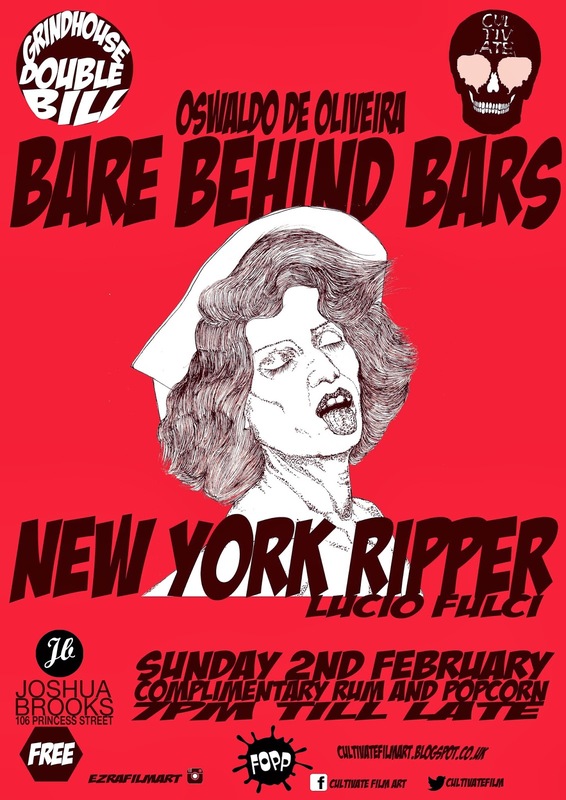 Featuring two classics Grindhouse classic BARE BEHIND BARS and king of the video nasty Lucio Fulci's NEW YORK RIPPER. You will be trapped in the basement at JOSHUA BROOK with the usual free popcorn and rum. Come prepared as we take a trip from Grindhouse to Art-House.